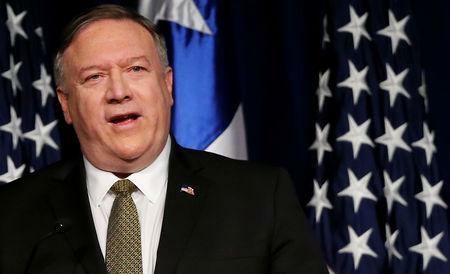 "China and others are being hypocritical in calling for 'non-intervention' in Venezuela's affairs," Pompeo said in a speech in Chile's capital. "Their own financial interventions have helped destroy the country." He slammed the arrival of Russian troops in Venezuela, and said Russia's investments in police training and a satellite compound in Nicaragua "to put it mildly aren't good." "We shouldn't stand for Russia escalating an already precarious situation in these ways," Pompeo added.